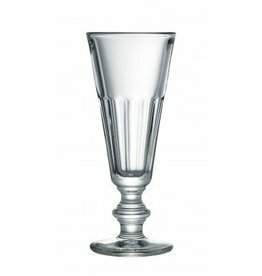 Perched on a distinctive hourglass-shaped stem, these champagne flutes have a French flair and sturdy design. The faceted flute catches and reflects light, offering a sparkling presentation for special occasions. 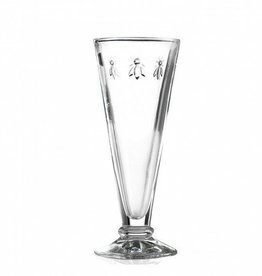 La Rochere French Bee Flute Champagne 17cm High La Rochere is one of the oldest glassware factories in France.